“It opened nearly three years ago at an army drill hall in Edinburgh and has toured the world from New York to Sydney. 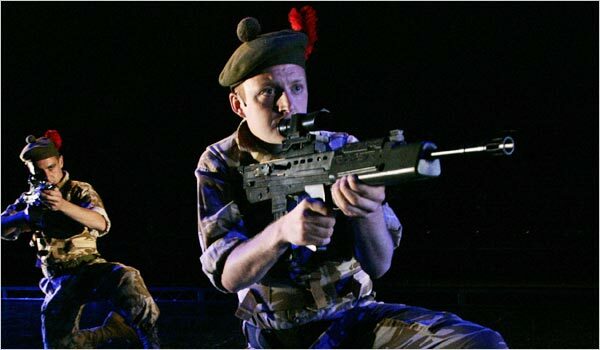 But the play Black Watch only reached London last year – allowing it entry to the UK’s most prestigious theatre awards. Last night it walked away with four. A complete list of 2009 Olivier Award winners can be found here. The New York Times review from the first of Black Watch‘s two runs at St. Ann’s Warehouse in Brooklyn (2007) can be found here.